Stade Bollaert-Delelis, earlier known as Stade Félix-Bollaert, officially opened in 1934 after a two-year construction period. 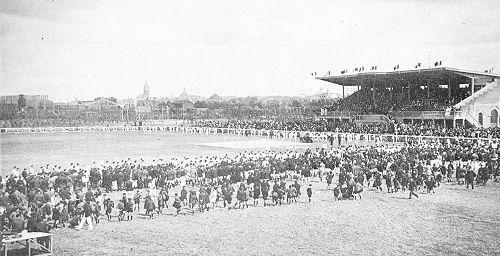 The oval-shaped stadium initially consisted of one covered grand stand and small terraces on the other sides. It could hold about 12,000 spectators. 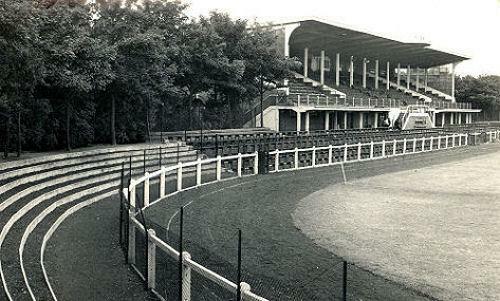 Stade Felix-Bollaert remained largely unchanged until the 1970s, when a new main stand got built and the stadium lost its oval shape in favour of a rectangular one. Next, new stands got erected on the other sides. The stadium got further enlarged in preparation of the 1984 European Championships. New stands and additional second tiers raised capacity from 39,000 to 51,000 places, making it for a short moment the largest stadium in France. 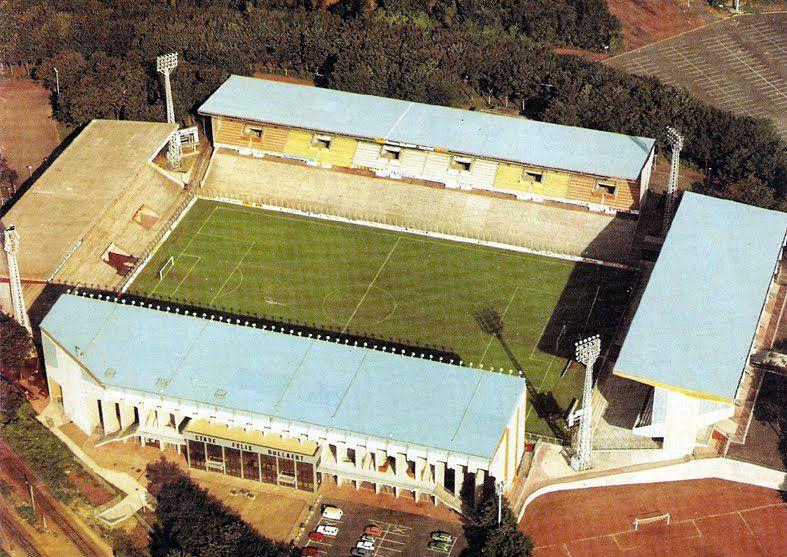 During Euro 1984, Stade Felix-Bollaert hosted two matches in the first group stage. The stadium set its record attendance in 1992 when 48,912 spectators attended a league match between Lens and Marseille. 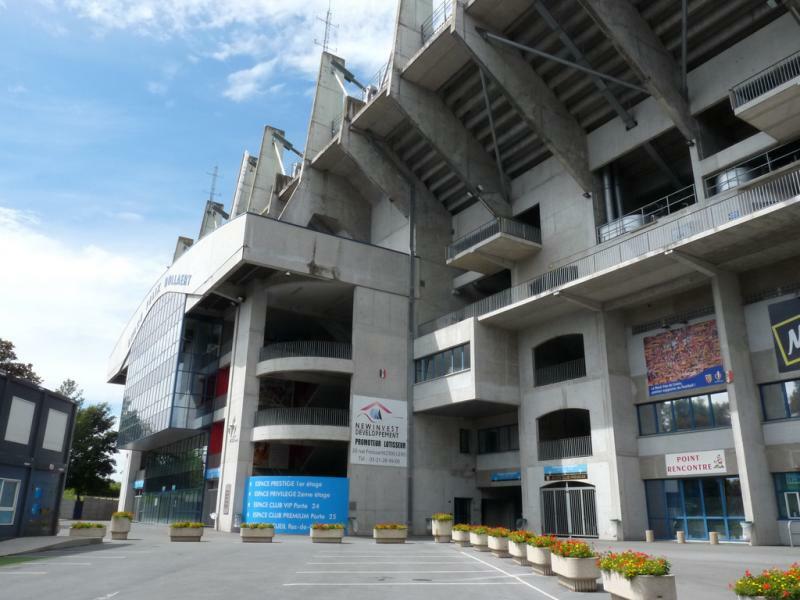 Soon after, Stade Felix-Bollaert got again selected to be a playing venue at a major tournament, this time the 1998 World Cup. The resulting redevelopment works involved the reconstruction of three of the four stands. During the World Cup, the stadium hosted five first round group matches and the round of 16 match between France and Paraguay (1-0). In 2004, the addition of further corporate facilities reduced capacity to just over 40,000. The stadium got renamed Stade Bollaert-Delelis in 2012 in honour of long-time major of the city André Delelis, who had died in the same year. Stade Bollaert-Delelis once again got selected to be one of the playing venues of a big tournament, this time Euro 2016. Its status as one of the hosts was long uncertain due to a lack of funding for the required redevelopment of the stadium, but they eventually received the go-ahead. 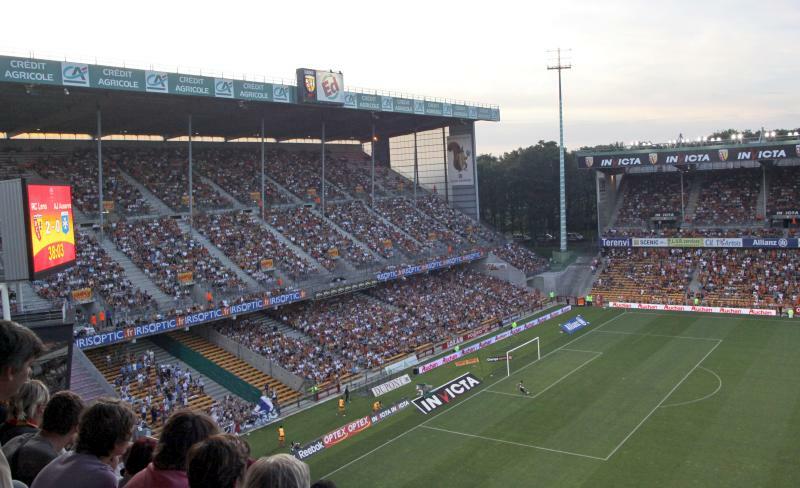 Works were performed during the 2014-15 season, which forced Lens to play their home matches at Stade de la Licorne in Amiens. During Euro 2016, Stade Bollaert-Delelis hosted three first round group stage matches and the round of 16 match between Portugal and Croatia (1-0). Stade Bollaert-Delelis is located in central Lens at only a kilometre north-west from the central railway station and city centre. The walk takes 15 minutes at most. Direct trains connect Lens with Lille. Trains run once or twice an hour and the journey takes about 45 minutes. The high-speed TGV connects Lens with Paris. The journey takes just over an hour, though service is less frequent. Stade Bollaert-Delelis is located in a residential area just north-west of Lens’ small city centre. 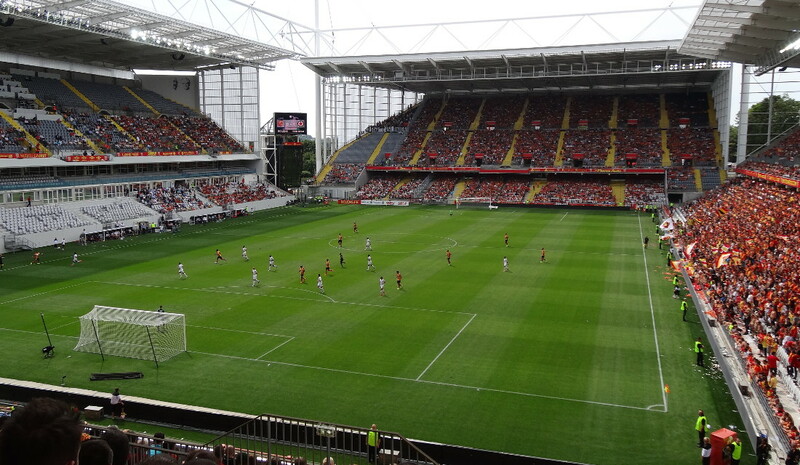 Lens, a small industrial city, isn’t one of the most picturesque cities of France, and most will decide to travel in and out for the match while spending more time in Lille or Paris. Art lovers may be interested in the recently opened annex of the Louvre museum, which is located just across the railroad tracks next to the stadium. The city centre boasts some places to eat and drink with the Boulevard Basly avenue being the best place to start. The stadium is only a short 5-10 minutes walk away. There is not much choice for hotels in Lens, but the few options such as Hotel Le Jardin, Hotel de France, and Hotel Bollaert tend to be affordable and get decent reviews. The latter is right across the stadium. There are some further well-rated small B&Bs and apartment rentals too. Click here for an overview of hotels and other accommodation in Lens. 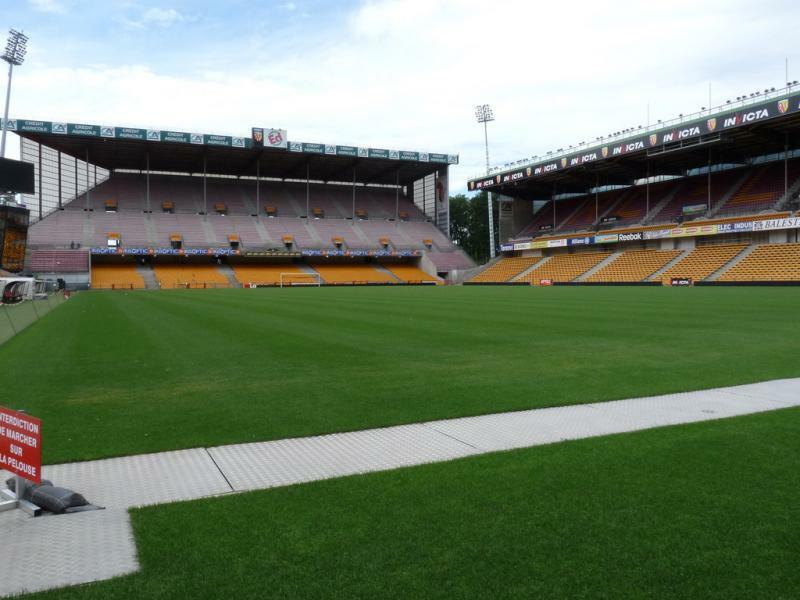 Tickets for RC Lens games can be bought online, at the club shop at Stade Bollaert-Delelis, or through the Francebillet and Ticketnet sales outlets. Expect to pay between €9.00 and €16.00 for a seat behind the goal, and between €21.00 and €28.00 for a seat at one of the sides. 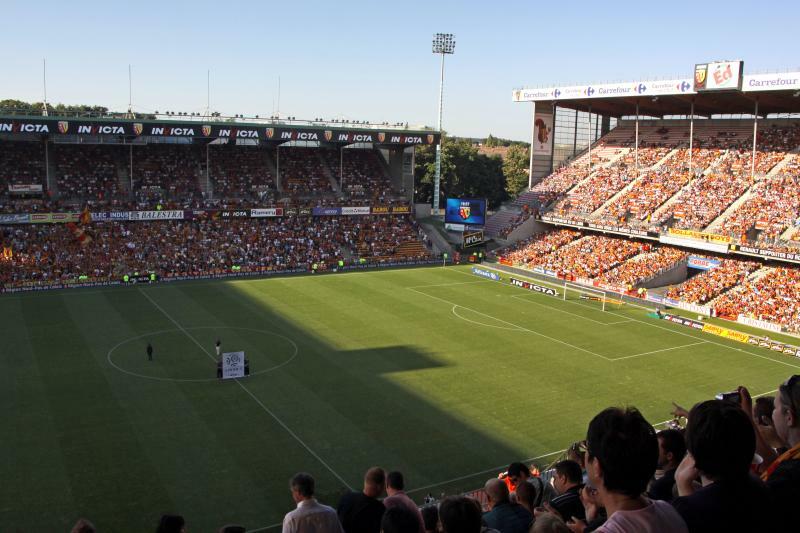 Lens is famous for its excellent support, attracting large crowds even in Ligue 2, but due to the size of its stadium rarely sells out. 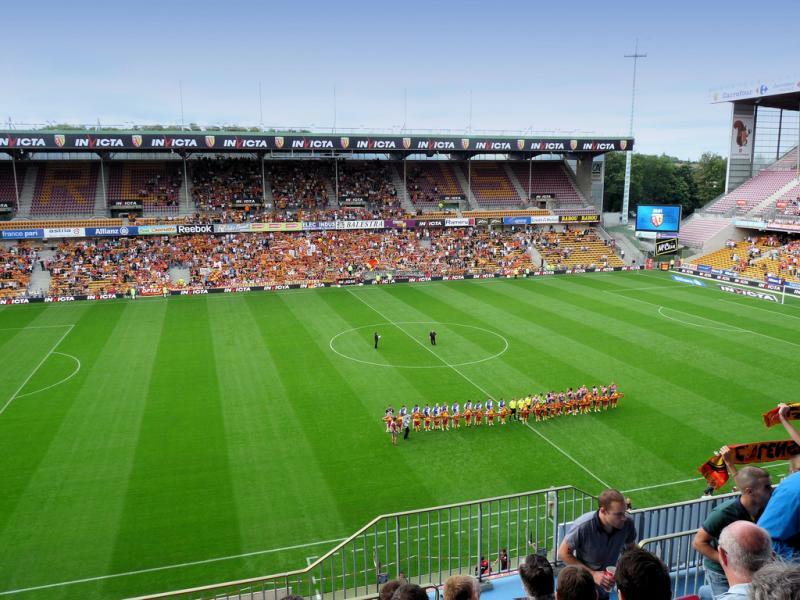 Rclens.fr – Official website of RC Lens. Tourism-lenslievin.fr – Website of the Lens-Lievin tourist office.